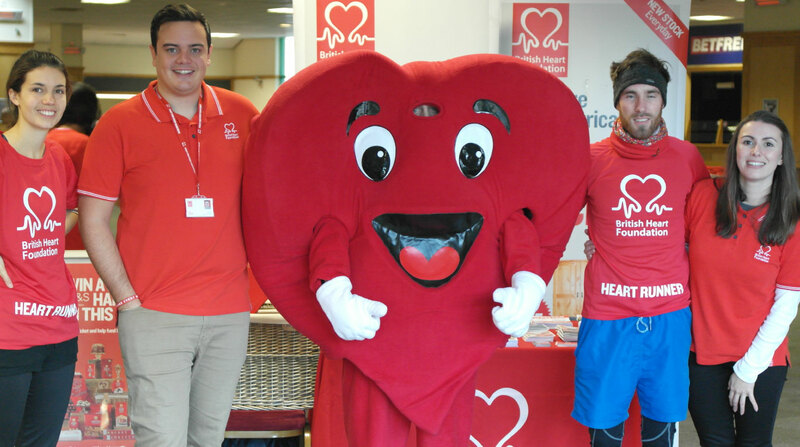 The first of many events to raise awareness for BHF took place on the weekend of the 22nd October 2016 as Gosforth racecourse played host to the Newcastle Stampede, the annual 10K mud run, organised by the British Heart Foundation. The sun breaks through the clouds in the early morning, the breath of runners catching on the cold autumn air as they wait in groups to start. A sea of red, snakes through the Northumberland, as heats of people make their way round the beautiful countryside through 10K of mud and fun. Over the weekend, 2000 runners make their way under and over and round obstacles through the traditional mud each with their own reasons for their support of the BHF. It was great to join together as comrades, support each other throughout the course with song on the air and collectively join together in the fight for every heartbeat. This will form the first of many events throughout 2016/17 raising awareness of the BHF. Stay tuned. Picture: The team before the Stampede event with BHF Fundraising managers Dan McNally and Nikki Bell.